For if I preach the gospel, that gives me no ground for boasting. For necessity is laid upon me. Woe to me if I do not preach the gospel! Very Reverend and Reverend Fathers! Venerable Brothers and Sisters in religious and monastic life! Following His glorious Resurrection on the third day, our Saviour Jesus Christ entrusted His Apostles with a particular mission: “Go therefore and make disciples of all nations, baptizing them in the name of the Father and of the Son and of the Holy Spirit, teaching them to observe all that I have commanded you. And behold, I am with you always, to the end of the age” (Mt 28, 19-20). To be Christians means to be followers of Jesus Christ, the only Teacher, bearers of His Spirit, heralds of His Good News and witnesses of the Truth, that is Jesus Himself. As a member of the Church of Christ, every Christian is called to grow in the discipleship of Jesus: by the Power and action of the Holy Spirit to know our Divine Teacher, who is present in the community of the Church, ever deeper, and to share this experience with his or her neighbour. Fulfilling His promise, “I am with you always, to the end of the age”, the Risen Christ abides in the Body of His Church in the Holy Mysteries (Sacraments) and in the Word of God. Every time we read the Holy Scriptures, we can hear the Word of our Teacher, who instructs us through His Holy Spirit, educates and leads us to all good things. In his Apostolic Exhortation, “Evangelii Gaudium” (The Joy of the Gospel), His Holiness Pope Francis stresses the intricate relationship between the Word of God and the study and passing on of faith, which is catechesis: “The study of the sacred Scriptures must be a door opened to every believer. It is essential that the revealed word radically enrich our catechesis and all our efforts to pass on the faith. Evangelization demands familiarity with God’s word, which calls for dioceses, parishes and Catholic associations to provide for a serious, ongoing study of the Bible, while encouraging its prayerful, individual and communal reading” (par. 175). In reading the Word of God, reflecting upon it and praying with it, we meet Christ, come to know Him and accept Him. This is the task of catechetical ministry—not only to bring a person to an encounter with Jesus Christ, but also, having met Him, to believe in Him, to live in unity with Him and, in the words of St. Paul, to mature to the fullness of Christ. When the apostles, who on the way from Jerusalem to Emmaus were talking and arguing among themselves about all that had happened, Jesus approaches them, guides them and interprets for them the Scriptures (see Luke 24:13-35). A person today also needs that kind of guidance in faith throughout his or her earthly journey following Christ. The Church provides this guidance in many ways, especially through its catechetical ministry. “The goal of catechesis, as the essential work of the Church, is to teach and to form Christians in the faith, leading them into fellowship with Jesus Christ and the Church community” (Catechism of the UGCC, “Christ our Pascha”, 54). Providing continuous catechesis to children, youth, adults and the elderly throughout their life—that is an essential element of a vibrant parish as a place to encounter the living Christ. We wish to emphasize that being a disciple of Christ is a task that requires us to be engaged throughout our entire life. This is precisely why the teaching and transmission of the faith (catechesis)—is not merely the preparation of children for their first Confession and solemn Holy Communion, but a constant and continuous growth in the faith for all the faithful of Christ’s Church—children, youth, adults. Having examined the state of the proclamation of the Word of God and catechetical ministry, we thank God for all the good and abundant fruits, which the proclamation of Christ’s Gospel has brought through the pastoral ministry of our Church, both in Ukraine and throughout the world. We wish to acknowledge and thank our priests, religious, catechists and parents—everyone who is sincerely dedicated to the proclamation of God’s Word and participates in the teaching and transmission of our holy faith. The entire Church is responsible for the Christian formation of its faithful, for, as a mother, she cares for the birth into a new life in Christ, and nurtures the growth in faith of every person. The whole Church is called to share her faith and preach the Gospel of salvation. However, each member of the Church fulfills this mission according to their particular calling in the Body of the Church. Our hope is that all the faithful, filled with the joy of encountering the living Christ and of membership in the church parish community, would live and share their faith in the Risen Christ. We wish to express our deepest gratitude to the parents, grandparents and godparents who hand down the living treasure of faith from one generation to the next. We remember that throughout the difficult decades of the communistic regime, it was our families who became the place where the Holy Spirit would act, beyond the reach of atheistic propaganda—the place, where faith in God and faithfulness to the Church of Christ were nurtured and preserved. At all times, no matter what the external circumstances, the family, as the local Church, was, is and shall be the first locale for the nurturing and passing on of the faith. Therefore, also today we focus our gaze and attention on the family, in order to help it, and especially the parents, to deepen their own spiritual life, so that they might be capable of transmitting the gift of holy faith to their children and grandchildren. In this important task the parents should be supported by godparents, grandparents, family members, friends, school and parish community. We say “support” because in this responsible task no one can replace the nuclear family unit. Dear Families! Our Venerable Metropolitan Andrey Sheptytsky said: “The family home is the first and most important school, where your children are to learn to love God and others. As will be that school, so will be the learning” (Khrystianska rodyna [The Christian Family], 13). Raise your children in a Christian spirit, create a particular atmosphere of family prayer—pray as a family before the holy icons, celebrate Sundays and holy days by participating with your children in the parish Divine Liturgy. When celebrating together, cultivate Christian family traditions and practices, instill in your children a Christian outlook on life and develop in them a sense of belonging to the parish church community and native people. Dear Parents! You are the first teachers of faith for your children. Teach them by the example of your everyday life and by the word of prayer. Proclaim to them the Gospel, read the Word of God, the lives of the Saints and especially the lives of our new martyrs who are models of a faith that is received, lived and witnessed. Begin your day with morning prayer and end the day with evening prayer, encouraging your children with the words: “Come, let’s pray.” Bear witness to your faith with your life. The Apostle Paul in his letter to the Romans states that “faith comes from hearing, and hearing through the word of Christ” (10,17). The “textbook” from which we learn the language of faith is the Bible and Catechism of our Church. Therefore, we encourage you to treat the Holy Scriptures and the Catechism of the Ukrainian Greek Catholic Church, “Christ our Pascha,” as the most important books in every family. Our Venerable Metropolitan Andrey Sheptytsky teaches us how to read the Bible in the family: “It is necessary for every Christian to clearly understand the value of reading and knowing the Bible. The Holy Gospel is what sanctifies every home and showers it with grace, for it is bestows faith and love on its inhabitants. The Gospel protect them from harm, shows them the path in life, uplifts their hearts to heaven and cleanses their souls of stain. I would not hesitate to say that it heals all wounds of their bodies. The practice of reading the Holy Scriptures every day, even briefly, ought to become the practice of every Christian family. Such reading should be seen as daily nourishment. It is a healthy, healing and strengthening food…” (On Venerating the Holy Cross). We turn our attention to you, dear Reverend Fathers, brothers in the Priesthood. Help us organize, properly and with good content, and with a sense of your sacred obligation, the entire process of Christian teaching and education of children, youth and adults, to bring the Word of God and the truths of faith to all the faithful. Proclaim the Word of God with zeal and passion. Support and lead the faithful to understand it and pray it. Establish Bible study groups in your parishes. Encourage your faithful in the practice of prayerful reading of the Word of God in the church community and in the family. Prepare your homilies carefully and in prayer, grounded in the Word of God, so that it might be “alive and active” in the lives of the faithful. 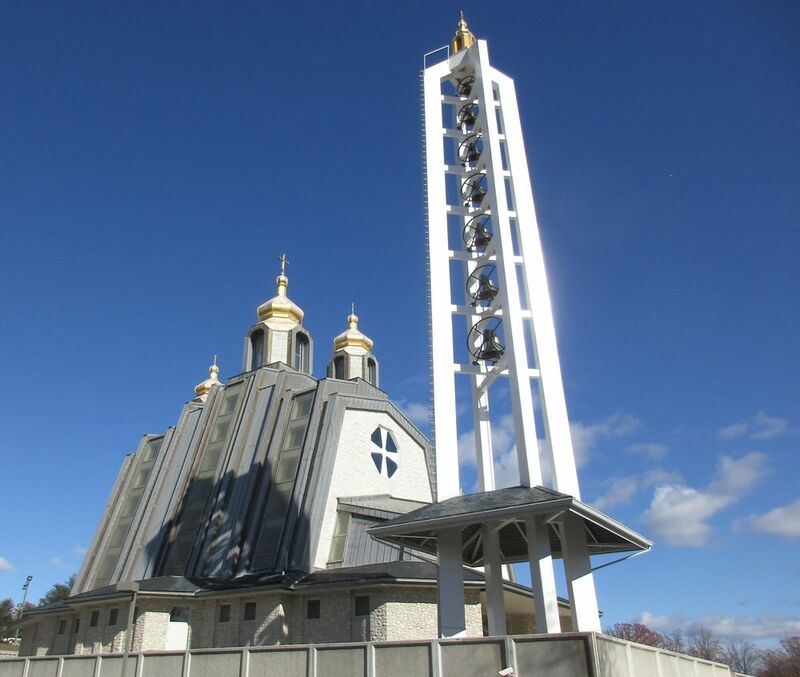 Organize and personally lead study groups on the Catechism of the Ukrainian Greek Catholic Church in your parishes, so that the reading of this work might leads the people of God to an encounter with the Risen Christ, nourish their faith, provide answers to the problems of everyday life and inspire them to service. You, dear priests, are responsible for the quality of catechesis in the parish. Take care that catechetical teaching be suited to each age group. Guide the children, youth and adults in their continuous growth in the faith. Together with your catechists plan catechism classes, meetings and other activities, paying attention to the gradual and systematic aspects of learning and education in the faith. Remember the importance of transmitting the Christian faith with a sense of how people communicate today. Therefore, utilize new methods and means in the process of Christian learning and education. Take care of your catechists, ensuring their foundational and ongoing formation. Support their ministry both spiritually and materially. Foster the task of catechesis and encourage others to do the same. Inspire and support the zeal for service, so that your parish can truly be a place of encounter with the Living Christ—a place of growth in the faith and of passing it on to the next generations. We turn to you, dear catechists—laity and consecrated men and women, and we thank you sincerely for your dedicated service in the parishes. You are the reliable helpers of priests in the mission of Christian teaching and educating the next generations of the faithful of our Church. The Church highly values your vocation and ministry. Your vocation to pass on the faith in the living Christ stems from the joy of your personal encounter with Him and your membership in the church parish community. Your desire to share this joy with others, to help others encounter Christ, is the response to the strivings of a person today, who seeks “the Way, the Truth and the Life.” Help the child, youth and adult of today encounter Jesus, recognize His teaching and be nourished by the Word of God and the Blessed Eucharist. On behalf of the Church, awaken, inspire and support the fervour to discover the Word of God and the truths of the faith, to live by them. Nurture in yourselves a life of personal prayer and lead to prayer those whom you are forming. Take care of your personal ongoing formation, in order to better serve God’s purpose and better respond to contemporary challenges. Be active and creative in your parish community. Be people of prayer and witnesses of Christian life. We address all the faithful of our Church, for indeed, all members of the church community are called to be transmitters of faith. The development of the parish, the Church and society depends on the conscientious fulfillment of this right and obligation by every Christian. A parish community ought to care for the spiritual-moral development of each of its members, and also to preach the Gospel to all people. The Parish community is to be the inspiration and motivation of catechesis, and the main source of its actualization. We, therefore, call upon you to nurture vocations to the religious life, to the priestly and catechetical ministry. Show an appreciation for those who preach the Word of God, lead others to encounter Christ, educate and guide others in the faith. Pray for them, show them your appreciation and support. Grow ever deeper in the knowledge of the Word of God, allow it to transform you. 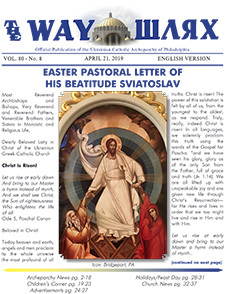 Read the Catechism of the Ukrainian Greek Catholic Church, “Christ our Pascha,” in order to learn the truths of the faith and to live by them. Share the joy of meeting the Risen Christ and take active part in the community and prayer life of the parish. Bear witness to your faith in your personal, family, professional and social circles. Live every day with faith, prayer and good works. The Most Holy Theotokos is Mother and Disciple of Christ, who heard His Word and believed in Him, received Him and gave Him to the world. For us, she is the model of how to be followers of Christ and lead others to Him, so that in response to our faith witness people, who today call out, “We wish to see Jesus” (Jn 12:21) can recognize, accept Him, and live in unity with Him. May the Most Holy Theotokos lead us in the mission of listening to the Word of God and incarnating it into our daily lives, so that ever more profoundly we may know the teaching of Christ, grow in the faith and pass it on to others with joy and fervour. 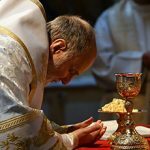 The parish clergy is instructed to read this Pastoral Letter following each Divine Liturgy on Sunday, December 23rd in the 2018th year of our Lord. Next story MARCH FOR LIFE 2019 – JANUARY 18, 2019 WASHINGTON, D.C.